Offering a wide range of coding machines, equipment & products used for Coding / Code marking /Batch Printing on packagings materials like Packets, Cartons, Labels, Tins, Cans, Jars, Buckets, Pouches, Sleeves etc. We are the India's market leaders (The largest and the Oldest) in the field of coding/marking inks, secondary packaging machines, batch-printing systems and contact coder machines for marking of statutory/variable information on packaged goods such as Batch No., Date Of Mfg., Expiry Date, Lot No., Pkd No., M.R.P., etc. We are supplying our extensive range of secondary packaging, coding and marking products to various industries like Dairy, Biscuits, Spices, Bakery, Agro-foods, Various Food and Beverages industries, Bulk Packaging, Cosmetics, FMCG and scores of other industries. Leveraging on our expertise, we are also engaged in offering clients a comprehensive range of Carton Printing Machines.This online carton coder is for outer boxes / cartons ( secondary packaging) and are very versatile in use for 4 to 5 line printing. Well installed with advance mechanism, these machines are able to meet the coding & stamping requirements of various cartons, pouches and boxes used in number of industries. 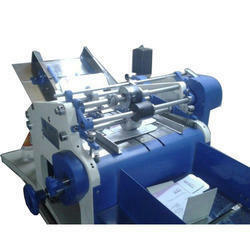 We offer a wide array of Fabricated Coding Machine that are used in number of code printing and stamping. Manufactured using high quality craw material and incorporated with advance mechanism, these machines offer trouble free functioning. Further, our machines are also able to offer high definition instant code printing of labels without having any visual errors. We offer a complete array of Industrial Coding Machine that are used in number of code printing and stamping. 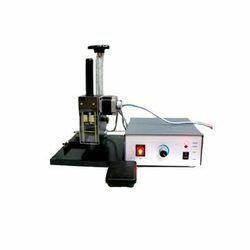 Manufactured using high quality and high durability machining material and incorporated with advance mechanism, these machines offer trouble free functioning. Further, our machines are also able to offer high definition instant code printing of labels without having any visual errors. Online Printing Machine and Coder. We are in the field of secondary packaging like : Coding systems, date-marking machines, pneumatic coders, price markers, online rotary stamping machines, coding inks and ink rollers etc. As you might be aware that we are one of the market leaders in coding/ marking inks, secondary packaging machines, batch-printing systems and contact coder machines for marking of statutory/ variable information on packaged goods such as batch no., date of mfg., expiry date, lot no., pkd no., m.r.p., etc. We are supplying our extensive range of secondary packaging, coding and marking products to various industries like dairy, biscuits, spices, bakery, agro-foods, various food and beverages industries, bulk packaging, cosmetics, fmcg and scores of other industries. pic is proud to obtain the iso 9001:2000 certification for aiming at achieving the highest position in the coding/marking field, and is supplying to over 650 clients all over India through our dealer network or directly and also exporting to over a dozen destinations all over the world. 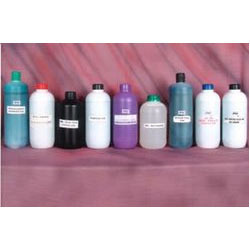 We can definitely offer you the best prices for various products as we are the largest producer of contact coding inks and systems in India. Marker pen inks and many more. PIC is also offering multiple types of batch printing machines, secondary packaging machines, coding inks, inking rollers, electro-pneumatic coders, rotary-mortised coding systems (for FFS machines) and online contact coders. Various types of Batch Printing/Coding Machines are used to print batch No, Mfg. Date etc on Labels, Cartons, Polybag etc. and also useful to print on any type of Materials. Code Printing Machines for coding of various variable information. 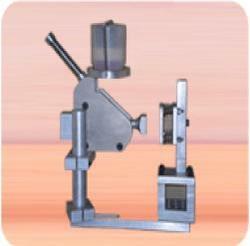 Also know as date coder, code marking, price marking machine. 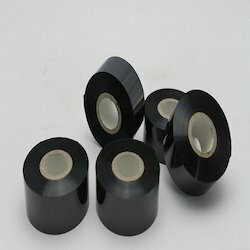 For various online application of packing also. Packaging Details: Coding Inks, Inking Rollers, (For Variable Information Marking), Electro Pneumatic And Motorised Coding machines (Intermittent), Rotary-Mortorised Coding Systems (Continuous), Online Contact Coders, (High Speed Coding), Other Range Of Batch Printers And Coding Consumables. We manufacture reliable and versatile Date Coder Machines. 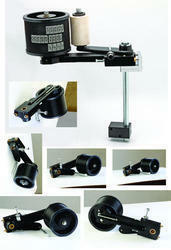 These innovative system is designed with criteria of - Easy To Operate, Value For Money - Coding System. It operates on a micro-processor based system and is easy to learn and less complex to operate. This EMCC-3550 coder is for manufacturers/packers of packaged goods to print B.No, Dt of Mfg., Expiry Date, Prices & other statutory information’s on various packing, containers, labels, cartons, pouches of etc. It has been specially designed to be user friendly, low maintenance and to work on universal packaging surface. This excellent coder replaces manual roller coders, labor-intensive marking systems, self-inking coding devices and other conventional machines. It gives bigger printing area upto 50 mm and so can easily have 4-6 lines of printing on various packed goods. Looking for Coding Inks and Coder Printer Machine ?